To say we’re looking forward to Godzilla: King of the Monsters would be a huge understatement. Today we learned that production on the film officially kicked off in the hot summer sun of Atlanta, GA. Read on for the early details straight from Warner Bros. Following the global success of 2014’s Godzilla and this year’s Kong: Skull Island, comes the next chapter in Warner Bros. Pictures’ and Legendary Pictures’ cinematic MonsterVerse: an epic action adventure that pits Godzilla against some of the most popular monsters in pop culture history. 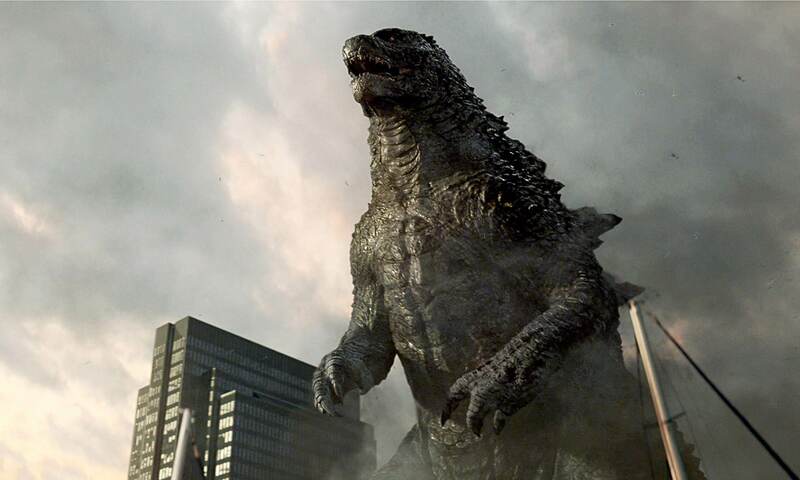 The film, which begins principal photography today, is being directed by Michael Dougherty (Krampus), and stars Oscar nominees Vera Farmiga (Up in the Air, The Conjuring films), Ken Watanabe (The Last Samurai), and Sally Hawkins (Blue Jasmine), the latter two of which are reprising their Godzilla roles. Their co-stars include Kyle Chandler (The Wolf of Wall Street, Manchester by the Sea), Millie Bobby Brown (“Stranger Things”) in her feature film debut, Bradley Whitford (Get Out), Thomas Middleditch (HBO’s “Silicon Valley”), Charles Dance (HBO’s “Game of Thrones”), O’Shea Jackson, Jr. (Straight Outta Compton), Aisha Hinds (Star Trek Into Darkness), and Golden Globe nominee Zhang Ziyi (Memoirs of a Geisha; Crouching Tiger, Hidden Dragon). Behind the scenes, Dougherty’s creative team includes director of photography Lawrence Sher, whose past credits include War Dogs and Godzilla, for which he handled additional photography; production designer Scott Chambliss (Guardians of the Galaxy Vol. 2, Star Trek Into Darkness); editor Roger Barton (Pirates of the Caribbean: Dead Men Tell No Tales, the Transformers films); costume designer Louise Migenbach (the X-Men and Hangover films); and Oscar-winning VFX supervisor Guillaume Rocheron (Godzilla, Ghost in the Shell, and part of the Oscar-winning team behind Life of Pi). Filming is taking place mainly in Atlanta, Georgia. A presentation of Warner Bros. Pictures and Legendary Pictures, Godzilla: King of the Monsters is currently scheduled for release on March 22, 2019, and will be distributed in 3D and 2D and in select IMAX theaters by Warner Bros. Pictures, a Warner Bros. Entertainment Company, except in Japan, where it will be distributed by Toho Co., Ltd.
#SDCC17: Meet Cuddles! The Living Dead Dolls Start Talking! Exclusive: Corin Hardy and GUNSHIP Raise “Cthulhu” For Fangoria’s HOLLYDOOM! First Concept Art from GODZILLA VS KONG Leaked Online? Zelda’s Back in Latest Teaser Trailer for PET SEMATARY! Check Out Terrifying Tripods from BBC’s WAR OF THE WORLDS! Copyright © 2018 Dread Central Media, LLC.